Welcome to our new firm, but it is a firm with experience, huge resources, and supporting institutions that are leading service providers to our clients. By being independent, we choose who are our service providers, who our money managers are, even what phone company we use. If they don't serve our clients well, we can change them. We are not stuck with one huge bureaucratic financial supermarket ("too big to fail" bank) who wants to sell/tie you to everything in your financial life. And by having many service providers to use, and choose from, we gain added checks and balance to protect your interests. Royal Paladin Group, LLC is an independently owned financial consulting firm with more than 20 years of dedicated personalized service to our clients. Our independence allows us to offer you an unbiased objective approach to serving your investment needs. 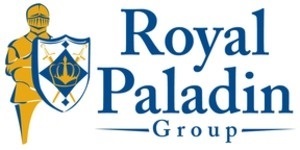 Whether you are just starting to save for your future, or are a seasoned investor, Royal Paladin Group, LLC has the financial management experience to direct you towards reaching your objectives. We also offer financial and investment services through First Allied Securities, Inc. to business owners and their employees. Our commitment is to always provide unbiased advice, impeccable service, and diversified financial resources to serve your individual needs … that’s one benefit of an independent perspective.